We start out as strangers. When we request lodging from a Warm Showers host while on our cycling tours, we know only what a brief profile and some feedback provide about our potential hosts. And yet, more often than not we part the next morning as friends. The common interest in cycle touring and shared experiences quickly breaks the ice and opens the door (quite literally!) to a warm welcome and lasting memories. 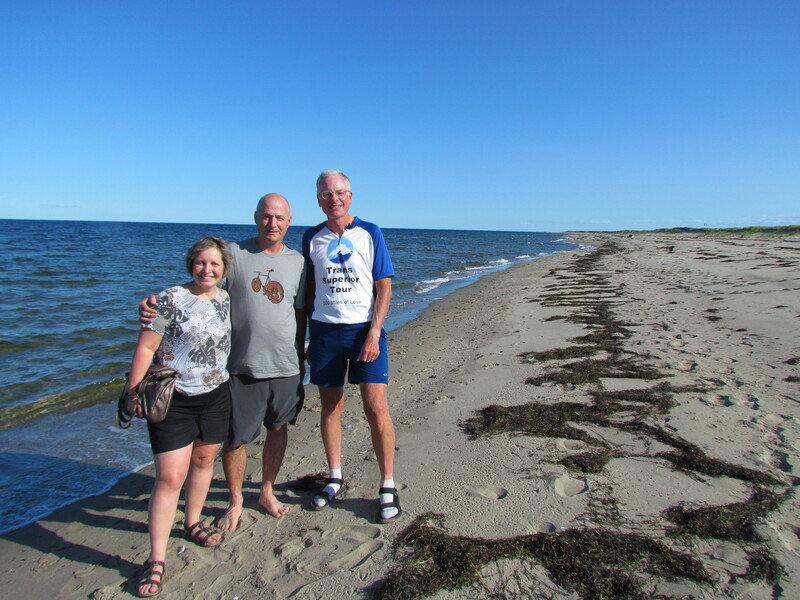 We hit it off immediately with Charles and Marthe on our first long cycling tour in the Canadian Maritimes. They knew just how to make us feel comfortable in their beautiful home, giving us plenty of space, showing us to the washer and dryer and even outfitting us with cushy robes so we could wash absolutely all our clothes. We had fabulous meals, as they understood better than we did how much food we really needed. And they took us to nearby Kouchibouguac National park which we would have missed on our bicycles. But it was their manner that was so engaging. We easily moved on from cycling stories to share tales of our lives, our families and our interests. There was no shortage of conversation and we felt a close bond. Charles and Marthe disclosed their dream of retiring soon and cycling the four borders of the US. Apparently seeing us newly retired and touring was proof it could be done. We fervently wished them well on their goal and left with a sincere invitation to return the hosting favor. Two years later, when the email arrived we immediately recognized the names. Charles and Marthe were setting off from Vancouver to cycle across Canada to their home in New Brunswick. We instantly replied with entreaties to dip down into the US in order to pass through Minnesota. Knowing the Trans-Canada highway stretch over Lake Superior was treacherous for cycling, we strengthened our argument by offering a safer route below the lake. It worked. Before long we found ourselves cycling out from our cabin in Northern Minnesota to meet them. Sharing an ice cream together on the return trip brought back so many memories – touring, seeing new places, local folk astounded over the distances traveled, and how sweet that treat tastes after pedaling so many miles. This time it was our turn to introduce these friends to our world. We celebrated the 4th of July cabin-style and they happily jumped off the boat for a refreshing dip in the lake. We easily picked up where we left off, as if no time had passed in between. And as they set off once more, we promised to meet again. Okay, so that wasn’t too far fetched as we returned to Duluth just in time to host them again a day later! We celebrated Marthe’s birthday with dinner overlooking Lake Superior and strolled the Lakewalk to get ice cream cones as it drew dark. It was harder saying our farewells the next morning. But I have no doubt these cyclists will host one another yet again. We are no longer strangers. 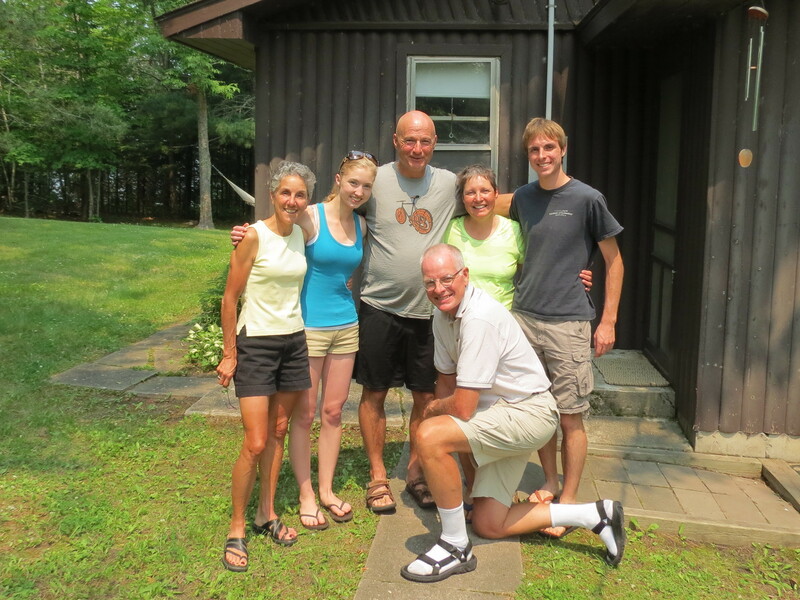 This entry was posted in Keeping Fit and tagged Cabin, Cycling, Cycling Trip, Friendship, Lake Superior by Molly. Bookmark the permalink.